← Should I Skip Breakfast? For more than 15 years, Pharmax has provided safe, effective and reliable professional-grade nutraceuticals and specialty supplements backed by clinical or traditional evidence. Stringent quality assurance and compliance with rigorous cGMP and FDA manufacturing standards assure the highest quality in raw materials and finished products. 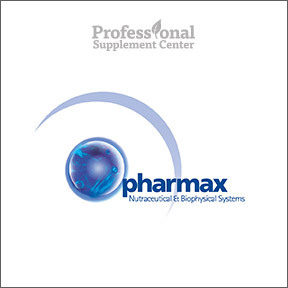 Pharmax utilizes only the purest, most natural ingredients sourced from trusted global, industry-leading suppliers. All unnecessary agents are avoided to meet the needs of those with chemical or allergen sensitivities. To assure the highest possible quality and to validate stability, potency and purity, every product is independently tested a minimum of three times — first as a raw material, again during the manufacturing process and finally as a finished product. In addition to their commitment to quality, Pharmax is faithful to full label disclosure, listing all ingredients, true elemental weights of minerals and standardizations of herbal extracts. Many of their products are gluten and dairy free and are suitable for vegans and vegetarians. Pharmax superior quality products are available solely through licensed healthcare professionals. Cal : Mag Berry Liquid + – This comprehensive liquid bone support formula contains highly bioavailable 100% citrate minerals along with therapeutic doses of vitamins A, D and K to support optimal bone density and the development and maintenance of bones and teeth. Natural blueberry flavor. Gluten and dairy free vegan formulation. Four Pillars – This product supplies complete daily nutrition by including vitamins and minerals, antioxidants, human-sourced probiotics and omega-3 essential fatty acids in support of the cardiovascular, cognitive, immune, musculoskeletal, nervous and digestive systems. Provides 10 vitamins, 11 essential minerals, 2.5 billion CFU of probiotics, and antioxidants including CoQ10, quercetin and NAC. Individually packaged for daily use. No refrigeration required making it perfect for travel. Gluten and dairy free formulation. Finest Pure Fish Oil – These pure concentrated softgels contain essential omega-3 fatty acids sourced from sardine and anchovy and flavored with essential oil of orange, avoiding any fishy odor or taste. Naturally preserved with mixed tocopherols, this formula is designed to provide support for cardiovascular and cognitive function and a healthy inflammatory response. No additional ingredients. Gluten and dairy free. Vitamin D 1000 IU Chewable – One chewable tablet supplies 1000 IU of bioavailable vitamin D3 to aid in the absorption and utilization of calcium and phosphorus and provide support for immune, cardiovascular, bone and overall good health. Natural blackcurrant flavor. Vegetarian formula. This entry was posted in Home and tagged Cal : Mag Berry Liquid +, Finest Pure Fish Oil, Four Pillars, Pharmax, Vitamin D 1000 IU Chewable. Bookmark the permalink.